Blizzard aren’t really interested in catching StarCraft II cheats – not really. Ultimately, they’d rather deter them, stop them from even trying – so that nobody has to have their match ruined before the banhammer comes down. Consider this post, then, the Blizzard equivalent of a ‘Neighbourhood Watch’ sticker – and learn something about the anti-cheat measures in one of the best PC strategy games in the process. 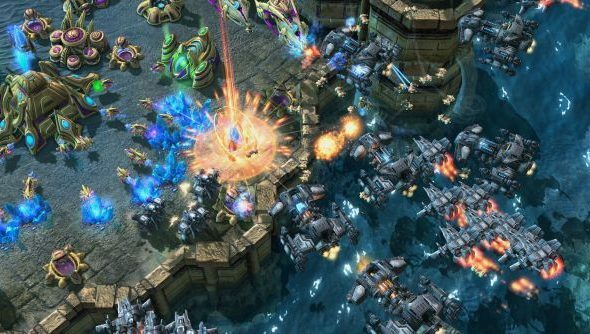 “Blizzard Entertainment has always taken active measures to combat cheating in our games, and that’s of particular importance for a highly competitive game like StarCraft II,” say the developers. Punishment is severe: StarCraft players found using hacks or modifications of any sort can be permanently banned from Battle.net. But the most exciting tool Blizzard employ are their “software detection methods”, made glamorous and mysterious by the fact that the company won’t talk about them. Blizzard believe that these methods have helped maintain a “healthy competitive environment” for StarCraft. Is that what you’ve found in your trips up and down the ladder? And while we’re on the subject: every wondered what it’s like to cheat at Titanfall?